The Ripstop Active Jac works just as hard as you do with a ripstop fabric designed to resist ripping and tearing. I needed a medium duty jacket because with winter approaching and my job being a parts delivery specialist for an auto parts company, I didn't want something too heavy. 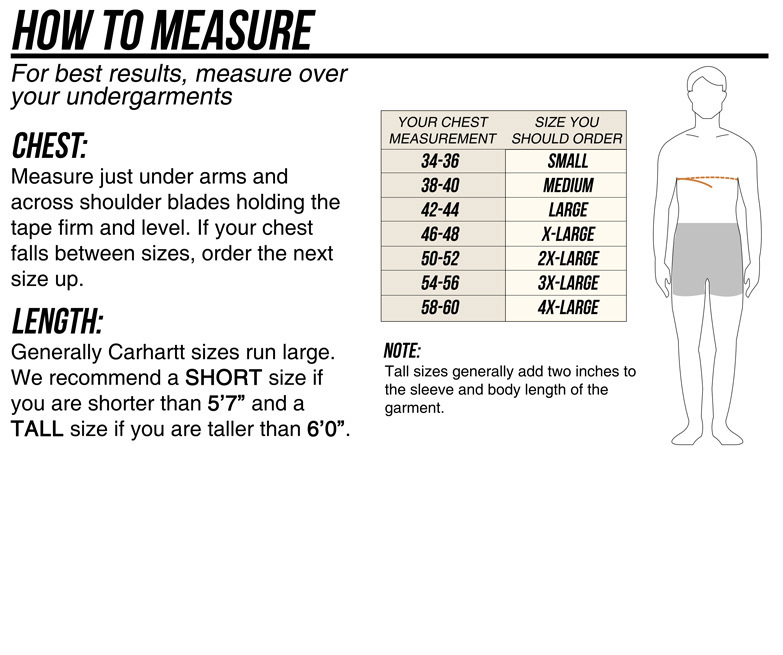 I usually wear an extra large or large however being a long time Carhardt wearer I knew from experience that their sizes run large. I ordered the medium and was a little worried it might be too small but it fits perfectly. It arrived fast as usual. Thanks, Dungarees! After searching and trying several other jackets , I have found the ONE that fits ! Good quality nice features happy customer , that's what business is all about . 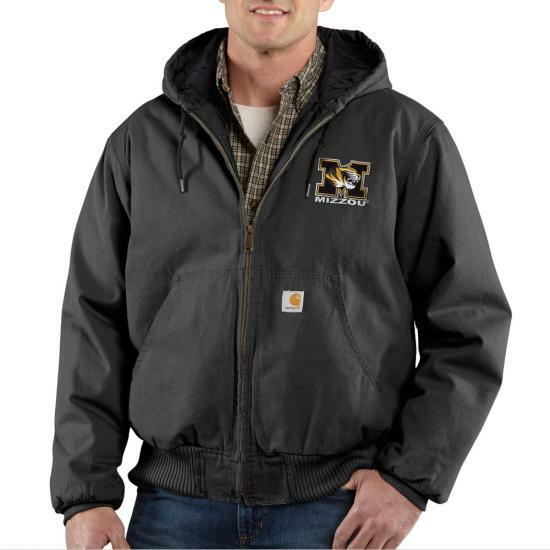 I just bought this to replace another carhartt work jacket, and the quality is boringly, predictably great. The only reason I'm writing this review is to emphasize that carhartt runs BIG. I am 6 ft, 220 lbs. And I am an XL in most every other brand. My new XL should have been a lg. My fault entirely, but be advised. Excellent product as you'd expect from the makers. My arms are 32/33 and the sleeve length is "just right." One thing that stands out most in my mind is the deep, rich color. Plenty of pockets and a hood in case of rain. As far as I'm concerned, Dungarees can be your one-stop-shopping network. This is the second or third time I've done business with them and their prices are fair and the service is fast. 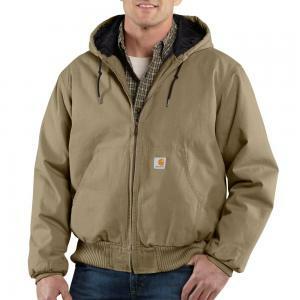 I have always been very comfortable and warm working outside wearing these active Carhartt jackets. I enjoy the freedom and warmth of the quilted lining and the hood is very protective of the wind and inclement weather. To me, there is no other jacket made that measures up to the value and quality. Good quality jacket-very versatile. Can see wearing this for three seasons of he year. Easy to maintain. Bought this coat for my son. He uses it for a work coat. Does not like them heavy or bulky & it is not. So far the fabric on the outside is tough enough for shop work and is resisting tears. This winter has been STRANGE. It is hard to predict what will be happening within the next few hours. The coat works very well when layering clothing for the midwest winter days. In addition, it is light enough that it protects from early spring weathers' cool mornings.